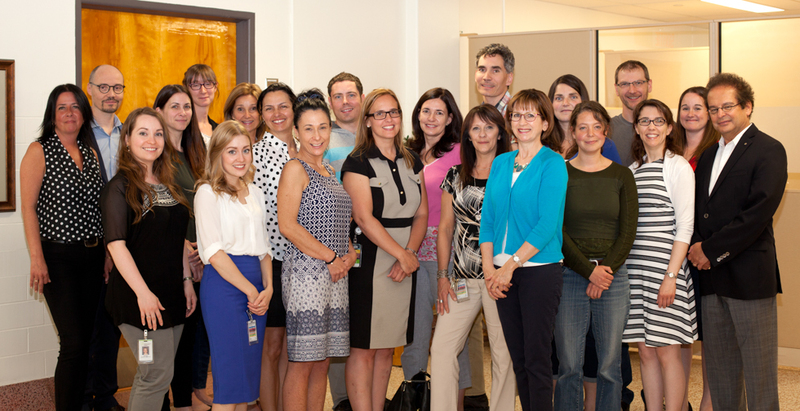 Dr. Michel Maziade, a clinical psychiatrist and researcher, has led a research program for more than 35 years on families affected by schizophrenia, bipolar disorder or major depression. The risk of developing these disease in children born to an affected parent is 15 to 20 times higher than that of other children. His work has shown that healthy children who are born to an affected parent can, early in life, carry indicators of brain dysfunction that adult patients themselves have. These discoveries open doors to prevention. Personalized neuromedicine to treat and prevent psychiatric illness. Dr Maziade's research, which combines family genetics, neuropsychology, electroretinography, and developmental and clinical measures, has led to a better understanding of the trajectory of major psychiatric illnesses. This knowledge helps develop interventions in personalized neuromedicine adapted to the profile of high risk youth. This will change the supply of early health services before the onset of the first symptoms of the disease, delaying the onset of the disease, reducing its severity or completely preventing the occurrence of the disease. Clinical applications of this research is delivered through the HoPE program of the CIUSSS de la Capitale-Nationale. Dr. Maziade is also the founding Director of the Université Laval Robert-Giffard Research Center, now known as the CERVO Research Center. He directed the Research Centre from its foundation in 1987 until 2013. He is now the Director of the Centre for Personalized Neuromedicine and Child Neurodevelopment of the Cervo Center. Beaupré-Monfette, Valérie, B. SC, social services. Gilbert, Elsa, Ph.D., neuropsychologist, projets coordonnator. Lavoie, Johanne, M. Sc. (C), nurse care. Lussier, Daphné, undergraduate student in Psychology. Paccalet, Thomas, Ph. D., scientific coordonnator. René, Linda, T.E.S., research assistant. Paccalet T, Gilbert E, Berthelot N, Marquet P, Jomphe V, Lussier D, Bouchard RH, Cliché D, Gingras N, Maziade M. Liability indicators aggregate many years before transition to illness in offspring descending from kindreds affected by schizophrenia or bipolar disorder. Schizophrenia Research, Epub May 6, 2016; Volume 175(1–3):186–92, August 2016. Berthelot N, Paccalet T, Gilbert E, Moeau I, Mérette C, Gingras N, Rouleau N, Maziade M. Childhood Abuse and Neglect May Induce Deficits in Cognitive Precursors of Psychosis in High-Risk Children. Journal of Psychiatry and Neuroscience, Sep;40(5):336-43, 2015. Roy MA, Achim A, Vallières C, Labbé A, Mérette C, Maziade M, Demers MF, Bouchard RH. Comorbidity between anxiety disorders and recent-onset psychotic disorders. Letter to the Editor, Schizophrenia Research 166 (2015) 353–354, 2015. Gagné AM, Hébert M, Maziade M. Revisiting visual dysfunctions in schizophrenia from the retina to the cortical cells: A manifestation of defective neurodevelopment. Progress in Neuro-Psychopharmacology and Biological Psychiatry, 62 (2015) 29–34, 2015. Hébert M, Mérette C, Paccalet T, Émond C, Gagné AM, Sasseville A, Lavoie J, Maziade M. Light evoked potentials measured by electroretinogram may tap into the neurodevelopmental roots of schizophrenia. Schizophrenia Research, 162 (2015) 294–295, 2015. Bureau A, Croteau J, Chagnon Y, Roy MA, Maziade M. Extension of the Generalized Disequilibrium Test to polytomous phenotypes and two-locus models. Frontiers in Genetics, August 8, 2014, Volume 5, Article 258; eCollection 2014. Ganzola R, Maziade M, Duchesne S. Hippocampus and amygdala volumes in children and young adults at high-risk of schizophrenia: research synthesis, Schizophrenia Research, Jun 156(1):76-86, 2014. Maziade M, Paccalet T. Common Childhood Determinants of Psychiatric and Cardiovascular Disorders Call for Common Prevention and Clinical Research. JAMA Pediatrics, Jan 168(1):3-4, 2014. Gilbert E, Mérette C, Jomphe V, Rouleau N, Bouchard RH, Roy MA, Paccalet T, Maziade M. Cluster analysis of cognitive deficits may mark heterogeneity in schizophrenia in terms of outcome trajectories and response to treatment. European Archives of Psychiatry and Clinical Neuroscience, June 264(4):333-43, 2014. Lavoie J, Maziade M, Hébert M. The Brain through the Retina: The Flash Electroretinogram as a Tool to Investigate Psychiatric Disorders. Progress in Neuro-Psychopharmacology & Biological Psychiatry, Jan 3;48:129-134, 2014. Bureau A, Chagnon Y, Croteau J, Fournier A, Roy MA, Paccalet T, Mérette C, Maziade M. (2013) Follow-up of a major psychosis linkage site in 13q13-q14 reveals significant association in both case-control and family samples. Biological Psychiatry, Sep 15;74(6):444-50, 2013. Maziade M, Paccalet T. A protective-compensatory model may reconcile the genetic and the developmental findings in schizophrenia. Schizophr Res. 144(1-3):9-15, 2013. Bureau A, Croteau J, Mérette C, Fournier A, Chagnon Y, Roy MA, Maziade M. Detection of phenotype-modifier genes using two-locus linkage analysis in complex disorders such as major psychosis, Human Heredity,73(4):195-207, 2012. Labbe A, Bureau A, Moreau I, Roy MA, Chagnon Y, Maziade M, Merette C. Symptom dimensions as alternative phenotypes to address genetic heterogeneity in schizophrenia and bipolar disorder. Eur J Hum Genet. Nov;20(11):1182-8, 2012. Maziade M, Rouleau N, Cellard C, Battaglia M, Paccalet T, Moreau I, Gagnon V, Marino C, Gilbert E, Roy MA, Mérette C. Young Offspring at Genetic Risk of Adult Psychoses: The Form of the Trajectory of IQ or Memory May Orient to the Right Dysfunction at the Right Time. PLoS ONE, Apr 29;6(4): e19153, 2011. Achim A, Maziade M, Raymond E, Olivier D, Mérette C, Roy MA. How prevalent are anxiety disorders in schizophrenia? A meta-analysis and critical review on a significant association, Schizophr Bull, Jul;37(4):811-21, 2011. Hebert M, Maziade M. Important Differences in Methodology and Reliability of the Electro-oculogram and the Electroretinogram in Psychiatric Research, Biol Psychiatry, Vascular Function in Depression in Older Adults, Biol Psychiatry, 68 (2), Page e5, 2010. Hébert M, Gagné AM, Paradis ME, Jomphe V, Roy MA, Mérette C, Maziade M. Retinal response to light in young nonaffected offspring at high genetic risk of neuropsychiatric brain disorders, Biol Psychiatry, Feb;67(3):270-4, 2010. Maziade M, Rouleau N, Lee B, Rogers A, Davis L, Dickson R. Atomoxetine and neuropsychological function in children with attention-deficit/hyperactivity disorder: Results of a pilot study, J Child Adolesc Psychopharmacol, Dec;19(6):709-718, 2009. Maziade M, Rouleau N, Gingras N, Boutin P, Paradis ME, Jomphe V, Boutin J, Létourneau K, Gilbert E, Lefebvre AA, Doré MC, Marino C, Battaglia M, Mérette C, Roy MA. Shared neurocognitive dysfunctions in young offspring at extreme risk for schizophrenia or bipolar disorder in Eastern Quebec multigenerational families. Schizophr Bull, Sep;35(5):919-930, 2009. Maziade M, Chagnon Y, Roy MA, Bureau A, Fournier A, Mérette C. Chromosome 13q13-q14 locus overlaps mood and psychotic disorders: the relevance for redefining phenotype. Eur J Hum Genet, Aug;17(8):1034-1042, 2009. ?PMID: 19172987? 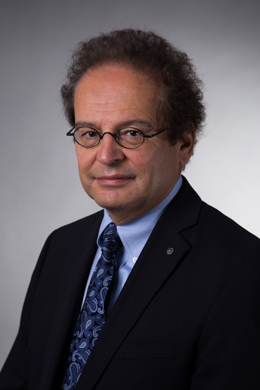 Dr. Michel Maziade is Full Professor of Psychiatry at the Faculty of Medicine, Laval University, as well as a practicing psychiatrist. He is currently working with the Centre de recherche du Centre intégré universitaire de santé et de services sociaux de la Capitale-Nationale (CIUSSS-CN). Founding director of the Centre de recherche of the Institut universitaire en santé mentale de Québec (CRIUSMQ), he holds a senior Canada Research Chair in the Genetics of Neuropsychiatric Disorders. In 2011, he has been appointed Knight of the Ordre national du Québec by the Prime Minister of Quebec in acknowledgment for his research deeds. He has also obtained prestigious distinctions, such as the J. M. Cleghorn Prize from the Canadian Psychiatric Association in 2008, and the Dr. Alexander Gralnick Award from the Child Welfare League of America (CWLA, Washington D.C.) in 2013 in recognition of his excellent work on the childhood roots of affective and non-affective disorders. He was nominated Fellow of the American Psychiatric Association in 1993 and promoted Distinguished Life Fellow in 2012. Practicing psychiatrist and scientist, he is renowned for his pioneering work on the genetics of schizophrenia and mood disorders. With his team, he has developed an approach combining developmental psychopathology, neuropsychology, electroretinography and family genetics to investigate the childhood and neurodevelopmental roots of major psychiatric disorders. His expertise in developmental psychopathology made him uncover the presence of risk endophenotypes such as cognitive dysfunctions in offspring of parents affected by schizophrenia and bipolar disorders. He has conducted longitudinal and transversal studies over 25 years on families from eastern Quebec affected by these diseases. 2013 Dr. Alexander Gralnick Award; Child Welfare League of America (CWLA), Washington DC. 2013 Tribute to the researchers-inventors members of Laval University, organized by the Vice-rectorat à la recherche et à la création to recognize excellence and creativity of researchers. Emphasized invention: a new marker for mental illness. 2011 Nomination as Chevalier (Knight), Ordre national du Québec, Ministère du Conseil exécutif du Québec. 2009 Heinz E. Lehmann 2009 for excellence in psychiatry, awarded by the Association des médecins psychiatres du Québec. 2008 J. M. Cleghorn for excellence and leadership in clinical research, awarded by the Canadian Psychiatric Association. 2008 Twinning Bordeaux – Quebec Mission (April 6-10, 2008), Invited by the Mayor Régis Labaume as member of the R&D Group. 2005 Quebec – China Mission (September 22-28, 2005), Delegation of Premier Jean Charest (September 23, 2004). 2004 Selected “Economic Leader of Quebec and Chaudière-Appalaches Regions”, Journal Économique de Québec. 2003 Invited by the Standing Senate Committee on Social Affairs, Science and Technology, chaired by the honorable Michael Kirby, during the public hearings on mental health in Ottawa. Report produced: « La langue de bois de la santé, ce chaos qui prive le citoyen du recours et du secours médical: le cas de la santé mentale » (October 2003). 2002 Distinguished Fellow in the American Psychiatric Association. 2001-15 Holder of a Canada Research Chair (Senior) in the genetics of neuropsychiatric disorders. 1993-96 The Rebecca Simon Gallagher & Patrick Gallagher Award (Established Investigator Award) National Alliance for Research on Schizophrenia and Depression (NARSAD), Chicago. 1993 Fellow in the American Psychiatric Association.